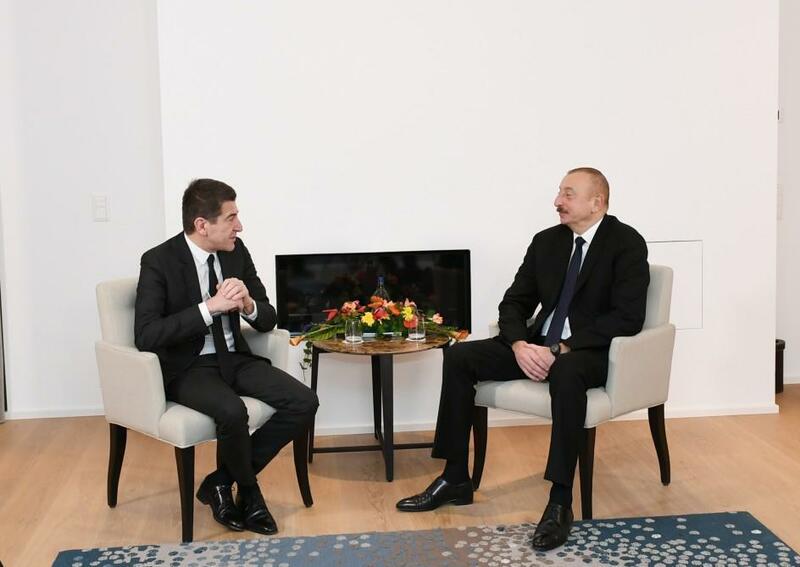 President of the Republic of Azerbaijan Ilham Aliyev has met with Chief Executive Officer of Lazard Freres company Matthieu Pigasse in Davos. Matthieu Pigasse noted that the company has been providing consulting services in financing various projects and addressing investment issues in Azerbaijan since 2000. He said that Lazard Freres participated in the diversification of debts of the International Bank of Azerbaijan in 2017, adding that the company was the bank's financial adviser. The CEO of Lazard Freres emphasized that the restructuring of the International Bank of Azerbaijan has been successfully completed, which was recognized by international organizations. Matthieu Pigasse underlined that the business environment created in Azerbaijan, support for entrepreneurs and the fact that the country's economic successes were featured in the Doing Business 2019 report paved the way for conferences and other investment-related events in Azerbaijan. He noted that global companies and investors are very interested in holding such big events in Azerbaijan. Matthieu Pigasse offered his services as a financial adviser and emphasized great potential for active cooperation in this area in Azerbaijan. President Ilham Aliyev hailed the activity of Lazard Freres company. The head of state pointed out that the cooperation with the company will be continued.